This heritage listed Victorian mansion on 250 acres, borders the Yarra River and is set amidst established gardens dating from 1854. The luxury period accommodation and award winning Eleonore’s Restaurant boast some of the best rural vistas in Victoria, whilst the lounges and sitting room are a showcase for fine paintings and antique furniture. 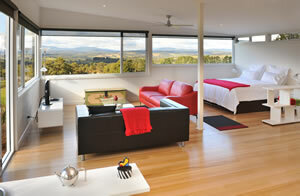 Grevillea Rise is the Yarra Valley’s newest b&b. Set in the rolling hills of Gruyere with superb views it’s perfectly situated for you to enjoy all the Yarra Valley has to offer. At Grevillea Rise we offer our guests with a range of luxury massage treatments and therapies to reinvigorate you and sooth away life stresses. 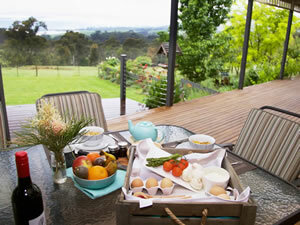 Wonga Park Vue de Vin Chalet accommodation is outstanding luxury French country-house accommodation for two at the gateway to Victoria’s renowned Yarra Valley wine region. 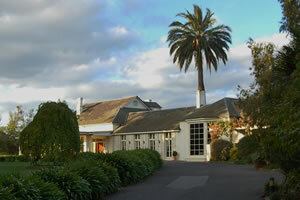 The property is set in grand oak-filled landscaped gardens in a country setting & overlooks the Kellybrook Winery. Vue de Vin is located within easy driving distance of Melbourne’s Eastern Suburbs and the Central Business District (CBD). Holiday makers will enjoy the many restaurants, recreational facilities and wineries close by-in particular Kellybrook Winery, the Heritage Golf Course and Potters Reception Centre. Major shopping centres at Ringwood and Doncaster, plus local retailers and theatre complexes are only short trips from this elegant accommodation. The historic Warrandyte Township, set on the banks of the Yarra River, is a pleasant distraction for a coffee and browsing for local hand crafts. Offering 96 spacious and superbly appointed deluxe guestrooms with striking views of the fairways and the colourful swathes of gardens adorning the hotel. Balgownie Estate is one of Australia’s great small vineyards famed for its long lived Cabernet Sauvignon and Shiraz. Established in 1969 by the highly regarded winemaker Stuart Anderson, the vineyard and winery are located at Maiden Gully near the historic gold mining town of Bendigo, just 150km northwest of Victoria’s capital city Melbourne. 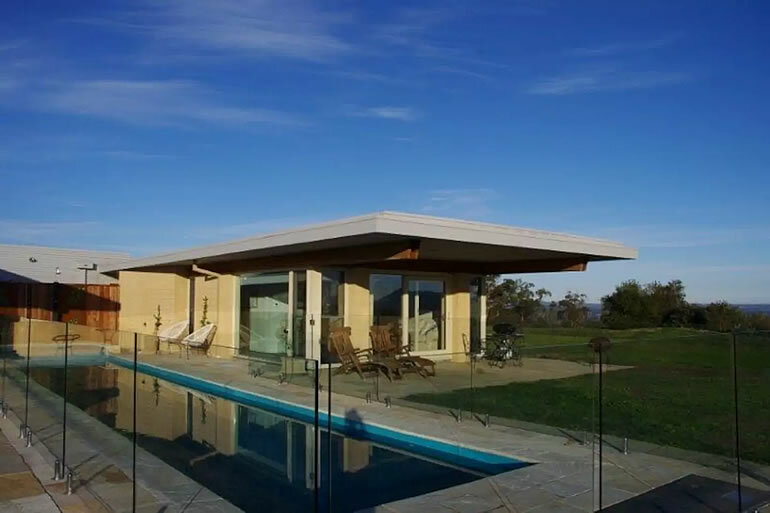 Dalblair is centrally situated in the Yarra Valley on 30 picturesque acres, just 2 minutes from Seville Village and is less than an hour’s travel from Melbourne. 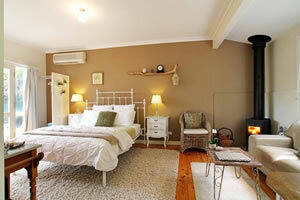 Only a short drive to the popular Warburton Trail and nearby cafes, vineyards, premier wedding venues and restaurants. 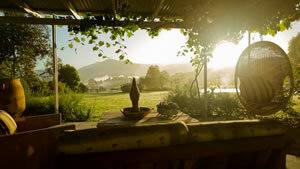 Hoddles Hideaway offers peace, privacy, magical sunsets and views. 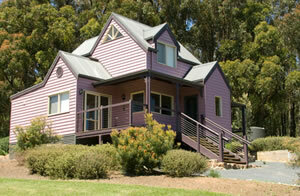 Your fully self-contained private 2BR cottage nestled between bush and green fields awaits you. On our 37 acres, highland cattle roam and you can leave your busy city life behind you. Spend the days bush walking, riding Puffing Billy, grape grazing at local wineries, cycling, even snow playing in winter.. then relax and unwind in the spa bath, cook a BBQ whilst watching a spectacular sunset over the ranges. Once the Gardeners Quarters of a farming family, this cottage has been lovingly restored to accommodate 2 people looking for a romantic private getaway with all the comforts you could need. The exterior has the influence of a Miners Cottage with its own private deck with covered HEATED OUTDOOR SPA. In contrast, the interior is modern but maintaining an Old World charm. 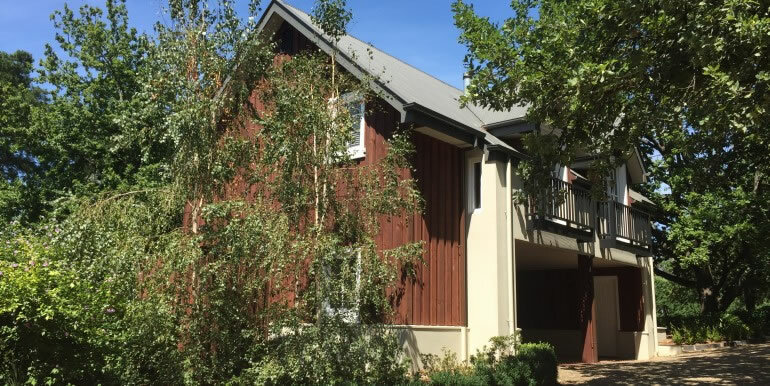 Yering Gorge Cottages situated on the beautiful Yarra River in the picturesque Yarra Valley, close to wineries, golf courses, fabulous restaurants and now only 45 minutes from the Melbourne CBD via “Eastlink” and the Maroondah Highway. Ainsworth Estate, the jewel of the Yarra Valley, is a boutique winery, restaurant and luxury accommodation facility located in the picturesque Yarra Valley region of Victoria. Owned and operated by Phil and Linette Crowhurst, Ainsworth Estate provides wine tastings and meals in a relaxed friendly environment with spectacular views across the valley, or for a total indulgence stay over night in one of our three luxurious self contained one bedroom vineyard apartments.